What’s the Matter with Britain? I am an Anglophile. I love Great Britain and particularly England. I am a great fan of English literature, English history, English culture, and the English language. 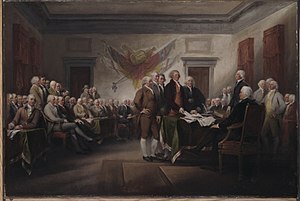 Although I am a patriotic American, there are times when I when a certain regret over the misunderstandings of 1776 that led to our separation from the mother country. The world might be a better place if America, Britain, and the other English-speaking countries were all part of a globe spanning Anglo-American Empire. But then, I read stories like this one in the Telegraph and am grateful that we did separate from Great Britain, and write a constitution that includes the first amendment. England seems to be even more in the grip of political correctness than we are and they have no first amendment to keep the Fascists from throwing thought criminals in jail. Even though no crime was committed, sharing the limerick online was recorded as a ‘hate incident’. “I can’t believe what is happening in the UK in the name of transgenderism and, worse still, we’re not even allowed to think never mind talk about it,” Mr Miller said. The complainant had managed to identify Mr Miller’s place of work, despite there being no reference to his business or his full identity on his Twitter account. As part of the complaint to police it was alleged the firm was an ‘unsafe environment’ for transgender employees because of Mr Miller’s comments on social media. Let’s get this straight. Mr. Miller did not commit any crimes. He did not assault or even make any disparaging remarks to anyone in person. He did not even compose the allegedly offending tweet. He simply liked or retweeted tweets that someone found offensive. The only reason the police were involved was because it was a “hate incident” and they needed to check his thinking. What is the matter with Britain? Why are they putting up with this petty tyranny over there? What has happened to the liberty loving English of the past, the people who forced King John to sign the Magna Carta, who chopped off Charles I’s head for being an overbearing tyrant, who fought the good fight against Hitler? When did the British people become a herd of sheep? What exactly is a “hate incident”? If a hate incident occurs whenever one person says something that another person does not like, than no one is safe saying anything at all. Any comment, no matter how innocent could be taken as offensive. In fact, such rules against “hate” cannot be applied objectively and even-handedly. They are almost always applied in favor of “marginalized” groups against less favored groups. If a White, cisgender, heterosexual, Anglican had complained about a hate incident, I doubt anyone would have cared, no matter how hateful the tweet. Does anyone really believe that banning hate speech will actually eliminate hate? It seems to me that it would only succeed in driving it underground. The people who are silenced will not change their opinion. They will only have the additional grievance of being silenced, and if the silencing is not objective or even-handed, as in fact it cannot be, the censorship may have the effect of increasing resentment against any favored groups. There is also the problem of what actually constitutes “hate”. All too often, hate is defined simply as an opinion someone doesn’t like, especially if there happens to be some truth in the silenced opinion. The tweet that Mr. Miller shared may have been crude and not very nice, but it does express a truth. Gender is a biological fact, not a matter of personal choice. It is not possible to change gender, no matter how strongly a person feels as though they are really the opposite gender. A transgender man is not a woman, no matter what hormones he has taken or operations he has had. By punishing such sentiments as hate speech, the authorities in Britain are in the position of punishing a man for speaking a truth anyone can see and coercing people to affirm a lie, they cannot really believe. If truth or a widely shared opinion becomes “hate”, than this blurs the lines between unpleasant pr inconvenient truths and statements that really are hateful. Punishing hate speech might have the unintended effect of making real hatred more acceptable, not to mention putting both the dissident stating unpleasant truths and the hater in the same position as defenders of free speech and free thought. In general, I think the best way to deal with hate is to have everything out in the open rather than to let in fester in darkness. I guess it was just as well we had that disagreement back in 1776. I prefer to live in a country where free speech is protected by the first amendment. Maybe the US should annex Britain as our fifty-first state so the people there can have the benefits of the first amendment. And so it has been, for the last 242 years. May God bless America and grant us many more years of freedom. And so it has been, for the last 240 years. May God bless America and grant us many more years of freedom. And so it has been, for the last 239 years. May God bless America and grant us many more years of freedom. Next Wednesday the people of Scotland will be voting on a referendum to separate from the United Kingdom of Great Britain and Northern Ireland and to regain their status as an independent nation. I do not have any idea how the details of the separation will be managed if the referendum passes, particularly how the division of economic and military assets will be managed. I suppose there will be a lot of hard negotiations ahead if Scotland separates. Here is an article in Yahoo News which goes over some of the questions and likely outcomes. An independent Scotland would undoubtedly quickly become a member of the United Nations and it would very likely join the EU and NATO. They would keep the Pound as their currency, if England lets them, and they would retain the monarchy. I imagine, then, that Scotland will revert to the status it held before the 1707 Act of Union, an independent country with its own Parliament which shared a king or queen with England. Before 1603, Scotland was entirely independent with its own king. Scotland and England were rivals and often enemies in war. Scotland was poorer and less populous than England and by itself, the kingdom was more often a nuisance on England’s northern borders than a real threat. The Scots and the French perceived they had a common enemy in England and in alliance against England, they could divide English strength, and make England’s frequent wars against France more difficult to pursue. The Scots and the English shared the island of Britain and spoke the same language, the Scottish dialect of English had been slowly replacing Scottish Gaelic over the centuries, and by the sixteenth century, it seemed a shame that the two kingdoms didn’t have better relations. In 1503, the Scottish King James IV Stuart married Margaret Tudor, the eldest daughter of the English king Henry VII, and the two kingdoms formed an alliance. This alliance lapsed when Henry’s son, Henry VIII became king in 1509 and when Henry went to war against France, Scotland fought on the side of France. The idea of a British alliance did not completely fade away. In the later years of the reign of Queen Elizabeth I of England, the question of the succession became critical. Elizabeth had never married and had no children, nor any surviving siblings. Her closest relative was King James VI of Scotland, the great-grandson of James IV and Margaret Tudor and so when Queen Elizabeth died in 1603, James VI became James I of England and he dutifully moved to London rule his new kingdom, founding the Stuart line of English monarchs. At this time England and Scotland were legally separate kingdoms and nations which had the same monarch. In fact James I would have liked to unify the two kingdoms he ruled, but neither the English nor Scottish parliaments showed much enthusiasm for the idea. Oliver Cromwell also attempted to form a united republic of Britain, but that didn’t survive the end of his rule. The two kingdoms remained separate for as long as the House of Stuart remained on the thrones of England and Scotland. The last male Stuart, James II, grandson of James I was removed from the throne by Parliament in the Glorious Revolution of 1688 and replaced by his sister Mary II and her husband William of Orange who reigned as William III of England. William and Mary had no children and while her sister Queen Anne had many children, none survived into adulthood. There was another succession crisis looming, and a real possibility that Scotland and England would have different monarchs. The English Parliament had decided to recognise George of Hanover, a grandson of James I as Anne’s successor. There were a number of Stuarts who had a better claim to the throne,but they were barred from the English succession because they were Roman Catholic. The Stuarts were still popular in Scotland, despite being of the wrong religion and for the next century Stuart pretenders could always gain a following in Scotland. While the English motive to propose the union was largely political, to keep an independant Scotland from allying with France or Spain against England, the Scots had economic motives for joining with England. By 1700, England had become a major power in international trade and had established colonies in North America. Because Scotland and England were separate countries, the Scots were excluded from participating in this trade and from emigrating to the colonies. Scotland was still a poor country compared to England and its finances were in some disarray. The prospect of joining in English prosperity and empire persuaded many Scots to support union with England and so in 1706 the two kingdoms negotiated a Treaty of Union which was ratified by the English and Scottish Parliaments the following year. 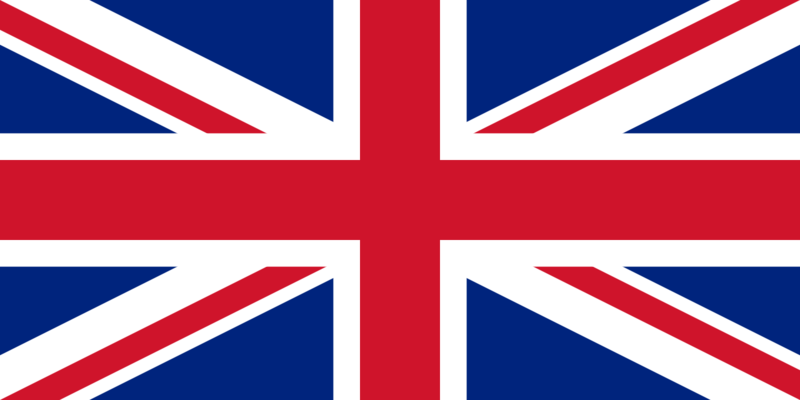 The separate Kingdoms of England and Scotland were merged into the United Kingdom of Great Britain and Ireland, although Ireland was not merged into Britain until 1800. Well, that was the past and next week we will learn if it is the future of Britain. Personally, I hope the Scottish people decide against independence. Scotland is still a poor country compared to England, though well off by international standards. With England, Scotland is part of the second rank of world powers. Without England, Scotland would have as much influence and power as Denmark. Besides, I would hate to lose the Union Jack.